DWPC Members – Did you go to CU Boulder? Posted by Content Manager in News | No Comments on DWPC Members – Did you go to CU Boulder? 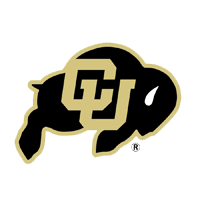 DWPC will be hosting our annual “Dinner with 12 Buffs” event, Friday, April 12, 2019. If you are a CU alumni, do let us know if you’d like to come, and/or wish to help plan the dinner. This is an opportunity for us to introduce ourselves and connect with recent CU grads who are launching careers in writing, communications, or other exciting fields.